As generations have passed by the technology used in night vision equipment has evolved significantly, with the price decreasing and the performance increasing over a period of time. Since then several different generations of night vision equipment has been developed. Most commercially available night vision equipment is rated by ‘Generation.’ It is crucial to note which Generation (Gen) you are looking at when comparing various device since they indicate what level of technology the unit uses. Were you aware of the fact that the first time that Night Vision was used was during World War II and during the Vietnam War was used extensively? These night vision glasses use gallium-arsenide, for the photocathode, and a microchannel plate for gain. Their sale in Europe is restricted to the military and government departments. Note: All of the Gen-2+ tubes are made in Russia, since US technology switched to Gen-3 from Gen-2, and bypassed Gen-2+. Because of Russian legislature, these days the maximum sensitivity that is allowed from Russia for export is 350 microamperes per lumen. The Gen 2+ tube improves upon the Gen 2 tube. It has a 300-600 microamperes per lumen sensitivity and 22,000-25,000 times light amplification. In the center resolution is 39-50 line-pairs per millimeter and there are 5,000 lifetime hours. The Generation 2+ devices come with automatic gain control. This regulates the image’s brightness depending on what the outside light conditions are. Also, these units have images that are virtually distortion free even at the edges and come with flash protection. The Military used these units until recently. However, they have become more widely available and are now used by others as well. Note: The U.S. Department of Commerce controls the export of any Generation-II or II+ model outside of the US. An End-User Certificate must be submitted in order to get approved. These devices use a special electron amplifier called Micro Channel Plate (MCP), which is one of the ways these devices are different from the 1 and 1+ generations. There are two kinds of intensifier tubes with MCP that are available: the 18mm and 25mm. Generally speaking, the larger that the diameter is, the more efficient the tube will be. However, a larger night vision unit is also required when it is assembled. Light is amplified by Generation 2 night vision equipment at around 20,000-30,000 times. This higher amplification makes them excellent to use in low light condition. Here is an example to give you a sense of what is possible. It is a dark overcast night, and you see a man 90m away, with 600 meters from a full moon and 300 meters from starlight. There is very little distortion, making them well suited to use for still or video cameras. Gen 2’s work very well for observing wildlife for prolonged periods of time from a distance in addition to closely observing small animals. Also, the tube has an increased lifetime (4,000-5,000 hours, compared to Generation-I and I+with only 2,000-2,500 hours) and an increased sensitivity as well at 300-320 microamperes per lumen. Due to how costly Generation 2 night vision is, it is mainly used for professional applications and by law enforcement. Gen 1+ tubes further improve on the Generation-I tube by having a fiber optic plate that is installed on the back or front of the tube. That results in image resolution being dramatically improved and also helps to prevent distortion, particularly at the edges. The light amplification that is provided is 900 to 1,000 times, and sensitivity is increased to almost 300 microamperes per lumen. Resolution is 50 line-pairs per millimeter in the center. It is very important to note that the designation I+is used incorrectly by some night vision goggle manufacturers to describe their Generation-I devices. A good Generation-I+ device will cost the same as a low-grade Generation-II device. Generation 1’s were initially introduced during the Vietnam war. They are the least expensive generation of night glasses. It is possible these days to find fairly inexpensive night vision monoculars, binoculars, and googles that come with this technology. Each Generation-I device uses a vacuum tube that has a 120-280 per lumen photo cathode sensitivity. These tubes have a light amplification that is 120 to 900 times what ambient light is. Resolution is 20 to 38 line-pairs per millimeter in the image’s center. Usually, they have roughly 80m maximum range and frequently have a built-in basic infrared illuminator. Usually, Generation 1 night vision devices have higher power requirements and may emit a low-level, high-pitch noise. The products are not well suited for photography since although they are clear in the middle of the view, frequently the quality drops off at the edges of an image. They are quite useful for watching wildlife at relatively close ranges and have many different practical applications. One thing that is quite confusing is that even with Generation-I tubes, often there can be a wide disparity in performance. All of the tubes are graded and evaluated according to their performance and quality as part of the manufacturing process. They are then sold at prices that are significantly different depending on their image clarity and light amplification. This is reflected of course in the Night Vision device’s final price. Luna Optics and other quality manufacturers use only the highest intensifier tube grades, meaning that although their devices have a tendency to cost more than others, you can be sure you are getting a quality product when you buy one. 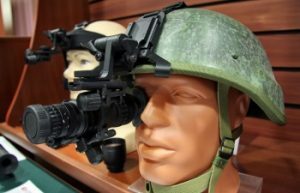 The military does not officially accept night vision Generation 4 technology, although night vision product manufacturers use this term more frequently. It is also called Gated and Filmless image intensifiers. Gated relates to a “gated” power supply. This makes it possible also to use night vision devices in the daytime. Also, it minimizes halo in bright light sources and improves image resolution. Generation 4 overall is said to have a view that is even sharper than Generation 3 night vision as well as an even greater ability to be able to see during very dark conditions. However, it also results in higher prices. Generation 4 Monocular cost around $5,000 to $6,000. Be sure to also check out my night vision binocular reviews here.